These polyurethane tuf lift pads outfit your BendPak two-post hoist with extra carriage-gripping capabilities. Textured surface reduces migration, and the slip-over design makes installation a snap. Round design offers extra multi-directional grip. BendPak’s new Polyurethane Tuf‐Pads™ feature a specially formulated hardness elastomer that exhibits outstanding resistance to gouging, cutting and abrasion, as well as chemical and solvent exposure. 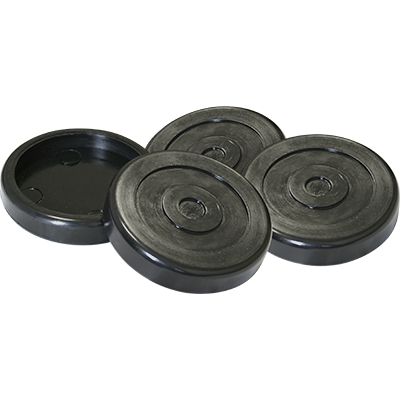 The durable, wear-resistant polymer compound extends the lifespan of the contact pads, which helps increase workplace safety and reduce operating costs. Designed to fit later-year BendPak two‐post hoists, Tuf‐Pads feature a round slip‐over design that makes installation quick and easy.